The upheavals of 2011-2012 across the Middle East and North Africa swept aside secular rulers and the established political order with startling speed, and continue to focus world attention on the revolutionary forces driving these far-reaching events. Poverty, oppression, inequality, and lack of individual freedom are all hallmarks of the societal stagnation that has gripped the Islamic world for the better part of fourteen centuries, but the driving force of the so-called “Arab Spring” is a resurgent Islam, dominated by the forces of al-Qa’eda and the Muslim Brotherhood. Energized as Islam may be at this time, however, without the active involvement of the United States to help arm, fund, support, and train the region’s Islamic rebels, it is questionable whether they could have gotten this far, this fast. This report describes how the Muslim Brotherhood infiltrated and suborned the U.S. government to actively assist, whether knowingly or not, the mission of its grand jihad. Its hard-won position at the forefront of the 21st century Islamic Awakening is possible only because of decades of patient infiltration and political indoctrination (Da’wa) in the West, and especially the United States of America, even as the grassroots work of building an organizational structure advanced steadily in the land of its origin as well. It is important to recognize the sophistication of the Brotherhood’s international strategy and how the takedown of U.S. national security defenses from within was critical to the current Middle East-North Africa (MENA) campaign to re-establish the Caliphate and enforce Islamic Law (shariah). The careful insinuation of Muslim Brothers into positions from which they can exercise influence on U.S. policy began long before the attacks of 9/11, although their success has accelerated dramatically under the administration of President Barack Obama. The massive Muslim Brotherhood organizational network in the U.S., so patiently built up over the decades since that first Oval Office meeting in 1953, eventually gave it a prominence and (false) reputation of credibility that was unmatched by any other Islamic groups, moderate or otherwise. Using a combination of taqiyya (deceit, dissimulation) and intimidation, the Muslim Brotherhood succeeded not only in making itself the “go-to” authority on all things related to Islam, but in suppressing those who would speak truth about Islam—again, often by persuading the U.S.’s own senior officials to do the job for them: “by their hands”. When Gen. Martin E. Dempsey, Chairman of the Joint Chief of Staff, publicly excoriated, then fired, US Army LTC Matthew Dooley, an instructor at National Defense University, in April 2012 over an earlier-approved course on Islam, and then ordered Dooley’s career-ending Negative Officer Evaluation Report, the lesson was meant to serve as a stark warning to anyone else in the DoD who might be tempted to become accurately educated about Islam. The horrific violence of terror attacks such as 9/11 also played a role by softening up the intended target: Western society. As Pakistani Brigadier S.K. Malik wrote in 1979, “Terror struck into the hearts of the enemies is not only a means, it is the end in itself. 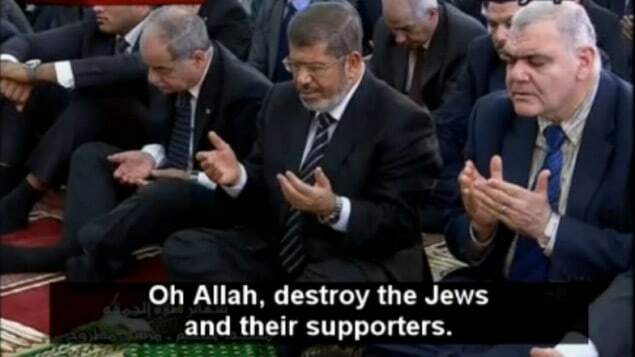 Once a condition of terror into the opponent’s heart is obtained, hardly anything is left to be achieved.” By contrast with jihadis, who would fly airplanes into skyscrapers and send suicide bombers into pizza parlors full of women and children, the Muslim Brotherhood looked tame. That its ideology and ultimate objectives — re-establishment of the Caliphate and universal enforcement of Islamic Law — were identical to those of al-Qa’eda was part of the Ikhwan‘s Information Operation to control what U.S. officials are allowed to know. The first task was to maneuver Muslim Brothers into positions of trust with key U.S. government officials. It’s long but worth reading, saving, sending to others including your elected officials and those running for office.